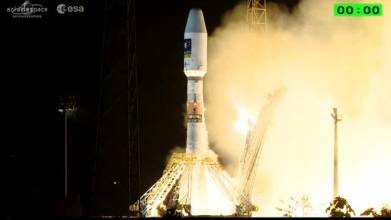 Another pair of Galileo satellites is now fully operational, broadcasting navigation signals and, since Tuesday (December 1, 2015), transmitting search and rescue messages worldwide. Galileos 7 and 8 were launched from Europe’s Spaceport in French Guiana on March 27. Their navigation payloads underwent a lengthy test campaign confirming their performance and integration into the worldwide Galileo ground network. The satellites’ secondary search and rescue payloads were also tested, picking up and relaying UHF signals from distress beacons as part of the international Cospas–Sarsat system. Radio-frequency measurements were made from ESA’s Redu center in Belgium. The site uses its 20 meter-diameter dish antenna to analyze Galileo signals in great detail. 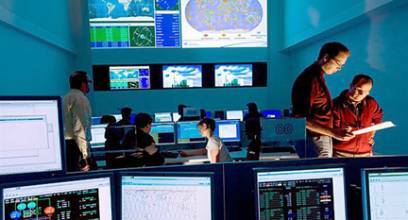 Security testing has ensured that Galileo’s Public Regulated Service — a maximum precision service restricted to authorized users — is as secure as required, according to ESA. These latest two Galileo spacecraft are the third and the fourth Full Operational Capability (FOC) satellites. Sixteen FOC satellites remain to be launched. “The checks carried out from the Galileo Control Centers in Oberpfaffenhofen in Germany and Fucino in Italy, as well as from Redu, prove the performance of these two satellites is excellent for navigation purposes,” said David Sanchez-Cabezudo, ESA’s Galileo in-orbit test manager. “New onboard features such as seamlessly swapping between the different atomic clocks — a unique feature in global satnav systems – has been verified, which translates into more robust navigation services,” he added. The first pair of full satellites was placed in incorrect orbits in 2014 by a malfunction of their Soyuz launcher’s upper stage, but the elongated orbits have since been modified so that the navigation payloads can perform as planned. The European Commission still has to decide whether they will be employed as part of the Galileo constellation. Galileo 8 and 9 were inserted into the correct orbits. A third FOC pair launched September 11, also in the correct orbits and undergoing payload testing, should enter service early next year. Two more satellites have arrived in Kourou, French Guiana, in preparation for a December 17 launch. ESA intends to have those satellites ready to enter the operational constellation by next spring.